Exciting and creative entertainment for health! 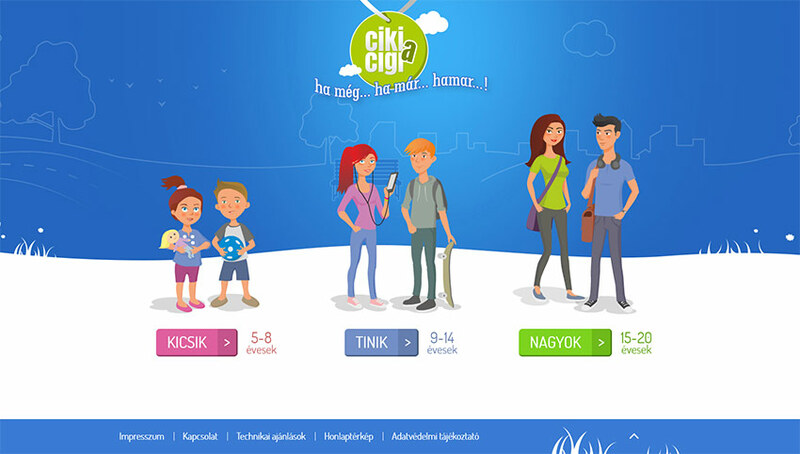 Focal Point for Tobacco Control reaches the 5-8, 9-14, 15-20 years old target population by the modern methods and tools of Ciki a Cigi homepage. The main aim of the unique homepage is to reduce number of children, who get addicted, are exposed by passive smoking, try smoking and modify this occasion for as late in life as possible. What can children gain from the homepage? Exacting entertainment with games, pictures, animations, short films, tales and quiz games. What is the structure of the homepage? © 2010. National Institute for Health Development. All rights reserved.